Kimberlee Esselstrom, Writer & Author. Always writing. For love of travel, people, and life. 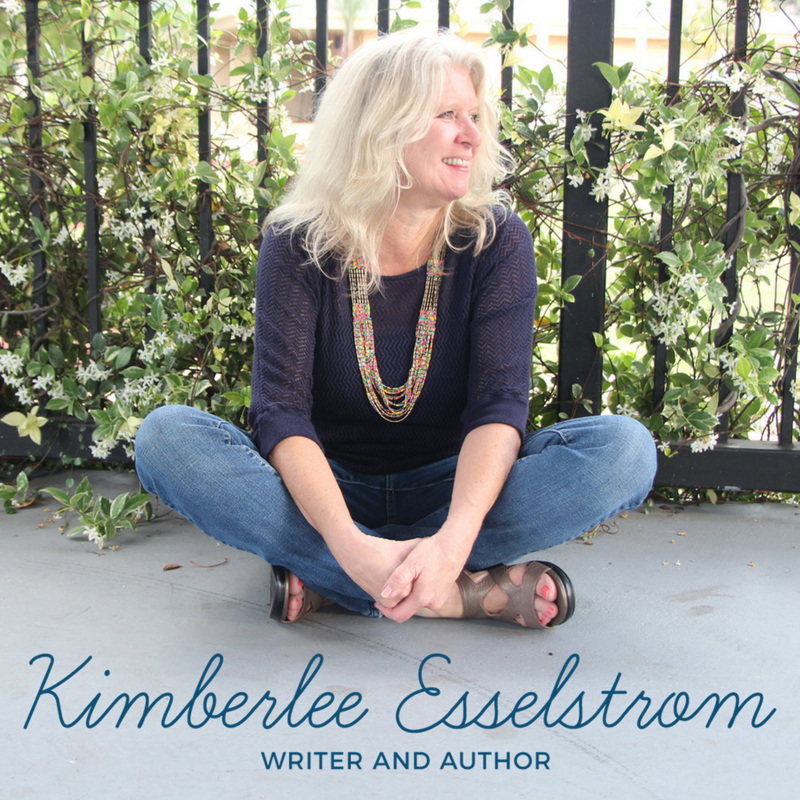 I am so happy to share the launch of the new Kimberlee Esselstrom brand. A joy from the very beginning. A special relationship rekindled – she’s my aunt who lives half way across the country. A beautiful heart and vision to create. Kimberlee came to me with an outdated website to house her author life, but she confessed early on that she was a bit embarrassed of it and never sent people there to visit or learn more about her writing. It was an online space serving no intentional purpose for her craft. It didn’t represent who she is as a person or as a writer. She was ready to go all in and booked my all-inclusive brand, web, and copy package, and we worked through the strategy of her author brand, the look and feel that she liked personally and what her audience would connect with visually, crystal-clear messaging, and minimal web design. As we explored her tastes for her personal brand, we settled on “boho, blues and greens (the colors of the sea) + paisley.” This was her. This was what she wanted to share with her audience in a subtle, effective way. The handwritten typography, color scheme, and occasional impressions of the paisley pattern point to her love of travel and free spirit. Allowing her audience to get a sense of her personality. Even as a writer herself, she wanted me to help with her messaging and copy. (Almost everyone I talk to says that it’s the hardest to use your skill set on yourself, and writing marketing copy and messaging for themselves is even tough for the most seasoned writer!) I took what she had and tweaked it a little bit, coming up with her key phrases and taglines, adding some elements, but keeping much of the words organic to Kimberlee. Our writing styles turned out to be quite different, but we were still able to create and maintain a brand voice true to her, with the addition of elements that she had a challenging time writing about herself (you know, like how she’s the best and all that!). The web design was a culmination of the elements we had already identified and built upon: minimal (not busy or cluttered), a mix of the handwritten typography and a modern sans serif, and spaces to share her new book, her short pieces, and musings on life and craft. Kimberlee told me in the very beginning that she wanted her new website to be a home in which she can live and breathe, not just a lifeless place on the internet, but one that she is excited to share about, create in, and expand as her audience grows. A place her people can stay awhile. This is her new home. “Working with Verity & Co. was one of the best professional decisions I’ve ever made. I had no idea where to start, but that didn’t matter. Lindsey had a clear vision for my brand and gently led me through a process that was not only easy but fun. During the project, Verity & Co. strategized, branded, designed, and created copy. I was free to write. Isn’t that what a writer is supposed to do? 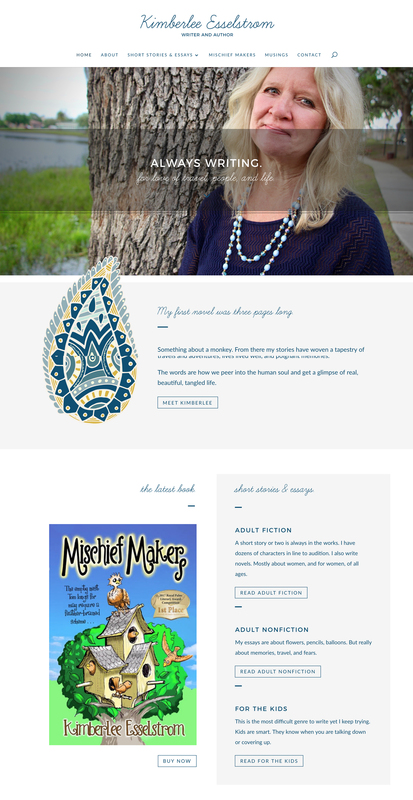 The finished product, my new author website, was like unveiling a fresh new me. In the beginning, I wondered if you would know how to brand a person, an author, not a business per say. You delivered on your promises. You were straightforward, letting me know what you would do for me and you delivered! Plus, you answered EVERY question I had, making me feel at ease with the process. 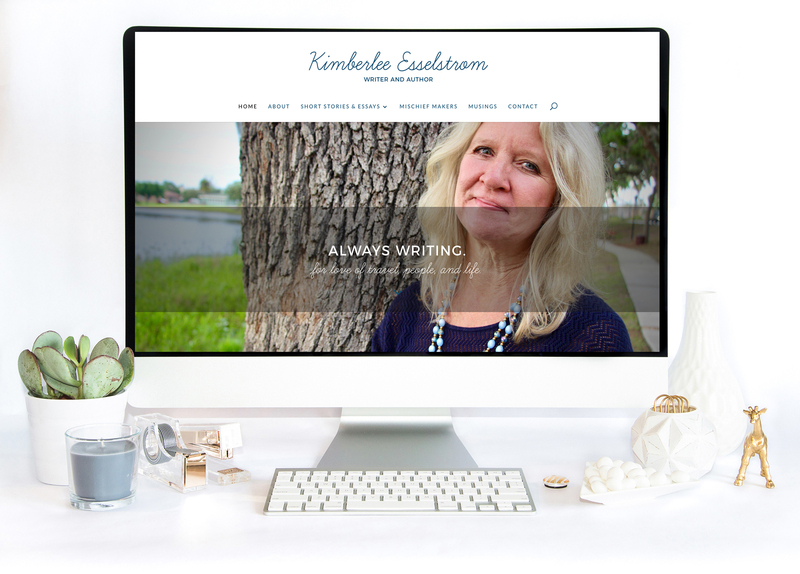 Check out Kimberlee Esselstrom’s new brand and site here. Wondering if this all-inclusive package is right for your business? Learn more here.